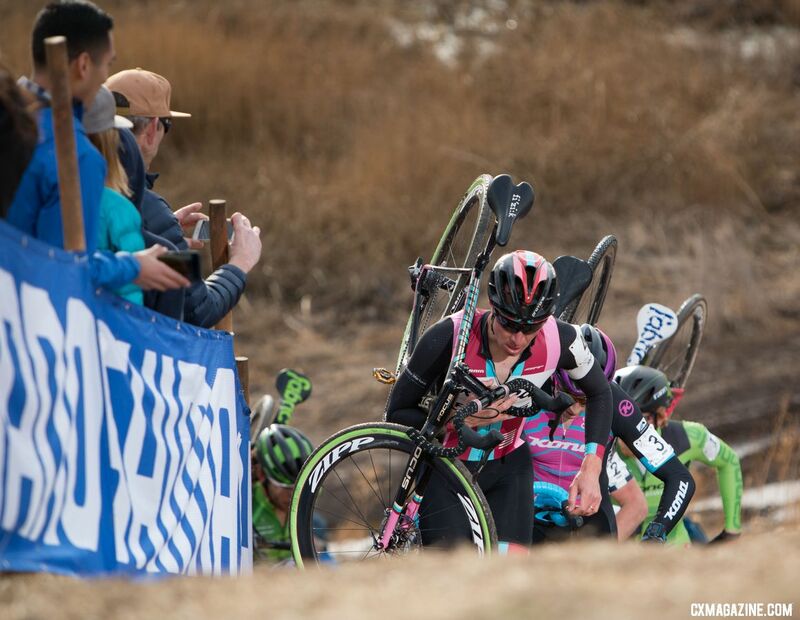 After two great Elite races at the 2018 Reno Cyclocross Nationals, our editorial team is taking a look back at Katie Compton and Stephen Hyde’s wins. 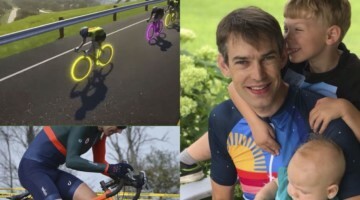 We each sought to put number 2 and number 14 in perspective, editor Zach Schuster having come of age in the sport during the reign of Jeremy Powers and Stephen Hyde and founder Andrew Yee having been around for every one of Katie Compton’s 14 straight national championships. We start today with a look at Powers and Hyde’s memorable battle at Rancho San Rafael Park. Stay tuned for a reflection on Compton’s 14th in the next few days. 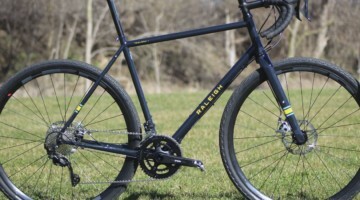 A noted lover of music, Stephen Hyde has found the perfect, if not a bit cliche, way of stating the challenge before him this cyclocross season. 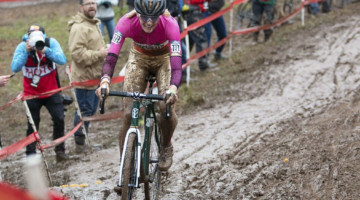 U.S. cyclocross is defined by its multi-championship winners: Katie Compton’s 14, Alison Dunlap’s 6, Laurence Malone’s 5, Jeremy Powers, Jonathan Page, Don Myrah and Clark Natwick’s 4. The list goes on. For Hyde to truly make his mark on the sport, one would not be enough. Winning a national championship as he did in Hartford also brings the pressure of higher expectations. 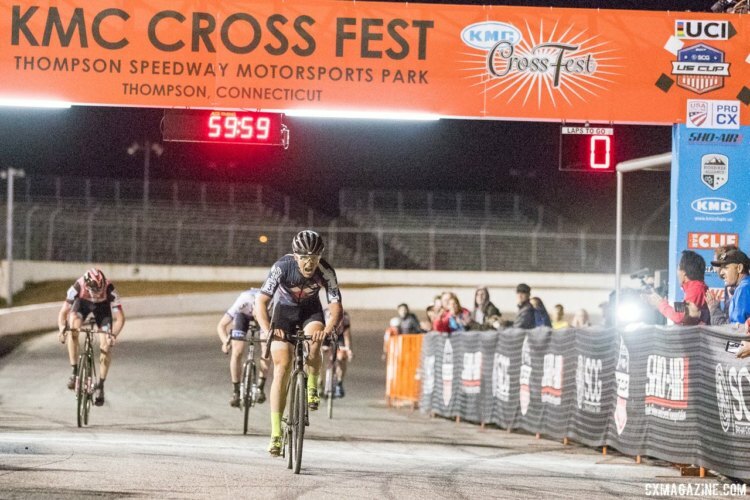 Last year Hyde had an impressive domestic run that made him the favorite heading into Hartford, but coming into this season, U.S. ’cross fans had high expectations for him from the opening weekend in Rochester. Not only was he expected to win a lot of races, he is also America’s next great hope for an American male rider who could compete on the European stage. In a way, Jeremy Powers set the contemporary standard for dominance in U.S. cyclocross with his rampage through the domestic calendar in 2014 and 2015. It is fair to say a similar run from Hyde was expected. On top of the other pressures facing Hyde is the unforgiving nature of the hands of time. 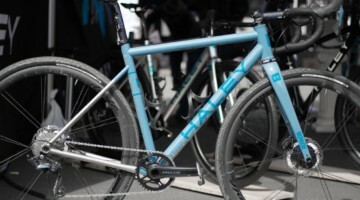 Men’s cyclocross has become the balliwick of the young, where Lars van der Haar at age 26 is considered a seasoned veteran. Hyde turns 31 in March, so for him, the future is now. 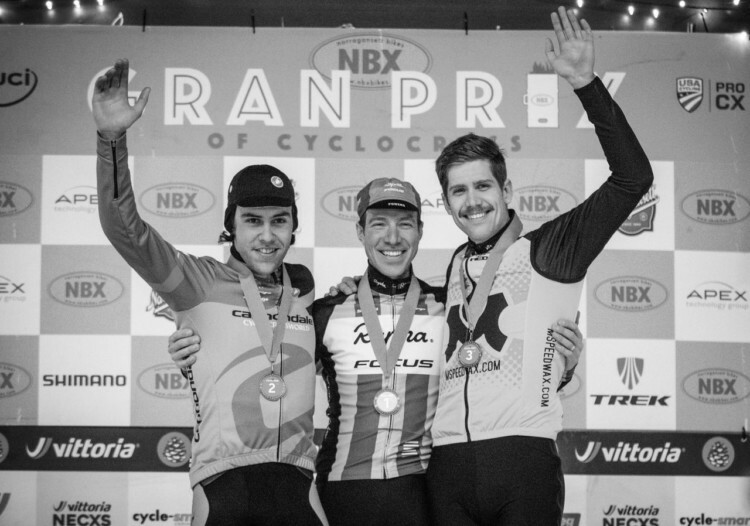 For reference, Jonathan Page won his first Nationals at age 26 and was 30 when he finished second at Worlds in 2007, and although Jeremy Powers was 29 when he first won Nationals in 2012, he had been racing for years prior to winning. Hyde’s discovery of the sport at an older age has certainly provided its benefits, but it also means he needs to continue on a clear upward trajectory if he wants to get into the U.S. record books and onto international podiums. 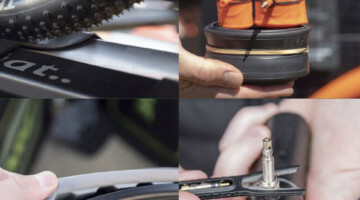 “When I decided that I wanted to put my best leg forward and I wanted to be a professional, I knew that I didn’t necessarily have all the time in the world,” he told Cyclocross Magazine last year. 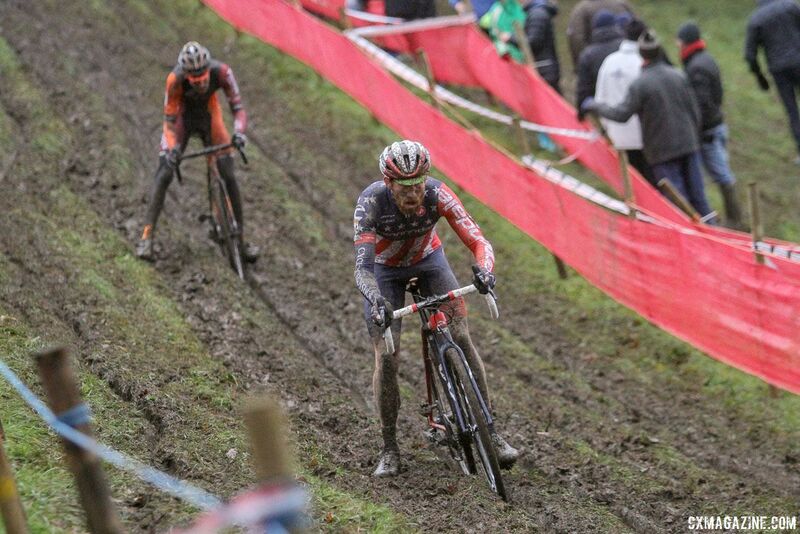 Jeremy Powers is another U.S. cyclocrosser staring down the cruel hands of times. Powers’ last two seasons have proved how tenuous one’s standing at the top of the sport can be. 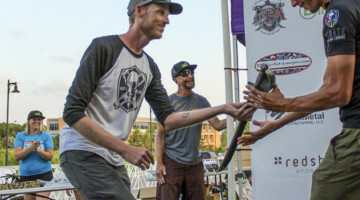 Powers won Nationals in Asheville after receiving a tough challenge from Hyde, and entering the 2016 domestic season, Hyde was expected to challenge Powers each week and eventually beat him at Nationals, if not in Hartford then maybe in Reno. 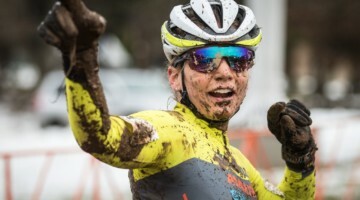 That narrative changed when Powers suffered an injury at the 2016 Trek CXC Cup. 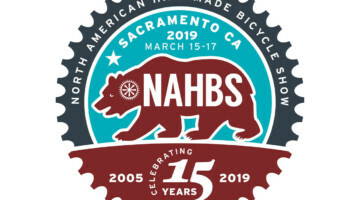 His full recovery took the entirety of the season, and then this year, he has faced heart issues throughout the season that have affected his ability to train and ride like he has wanted to. Whereas Hyde headed to Reno looking to prove he belongs at the top, Powers was looking to prove the end of his cyclocross story is not yet written. When the U.S. cyclocross community packed their trucks and bike bags for Reno, it was easy to say Stephen Hyde was the overwhelming favorite to win the Men’s race on Sunday. The numbers said he was the man to beat and commentators predicted a blow out. 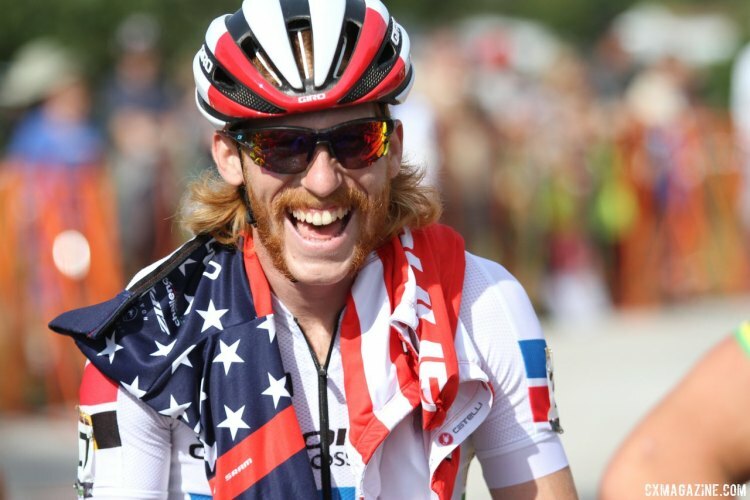 However, the 2017 domestic calendar was not a coronation for the defending champion and in fact, in September and October, Hyde was maybe the second or third best male U.S. racer. 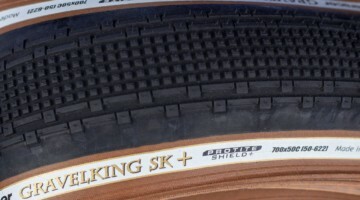 Prior to the start of the season, Hyde got sick, which threw off his training and his preparation for the all-important U.S. World Cups. 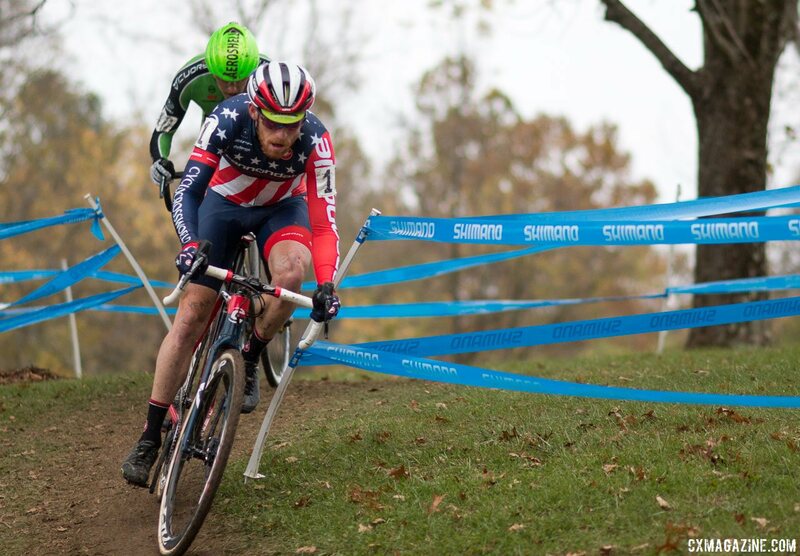 Hyde had a memorable tenth-place race at Jingle Cross in 2016, so expectations for him to repeat the feat were high. When we talked with him in early October, he said the illness set him back. “I played the cards I had,” he said. “I hate to beat a dead horse here but when your plans changes due to illness then you have to roll with what you have. We saw that with Powers’ last season after his injury. Now it’s catch up.” Hyde had disappointing finishes at both World Cups and entered the heart of the domestic calendar on anything but top form. 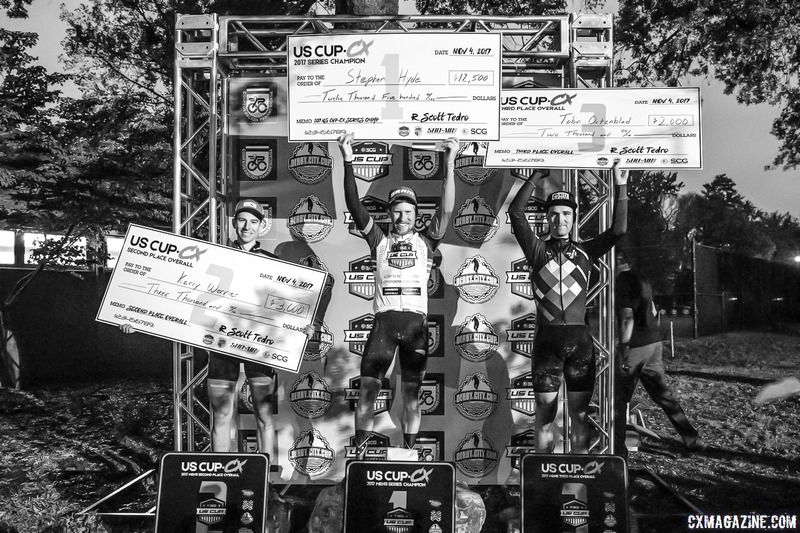 The 2017 domestic calendar featured a new series that heightened the importance of racing well in the U.S. Ryan Trebon and Scott Tedro teamed up to create the seven-race US Cup-CX series which featured not only a healthy pay check, but also a level of prestige that UCI points and race payouts cannot provide. Hyde and the other riders made no secret about their desire to win the series, and the racing reflected as much. 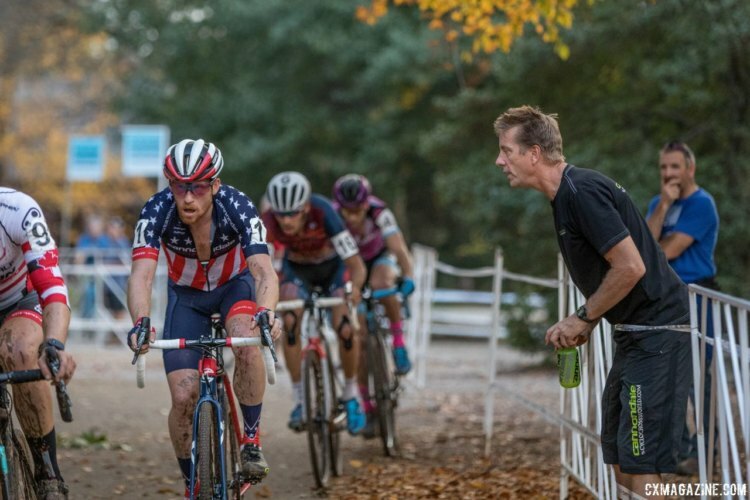 When the winner-take-all format of the US Cup-CX series, some thought, “Well that’s boring, Stephen Hyde is going to win every race.” However, the reality on the course was quite different. The first two weekends of the series were dominated by Tobin Ortenblad. Ortenblad won both races at the KMC Cross Fest and then won the first day at Charm City in Baltimore. With the series over half over, Ortenblad led Hyde and looked like he had made the jump to Hyde’s level. Hyde was not shy about how he felt after the first two weekends of racing. 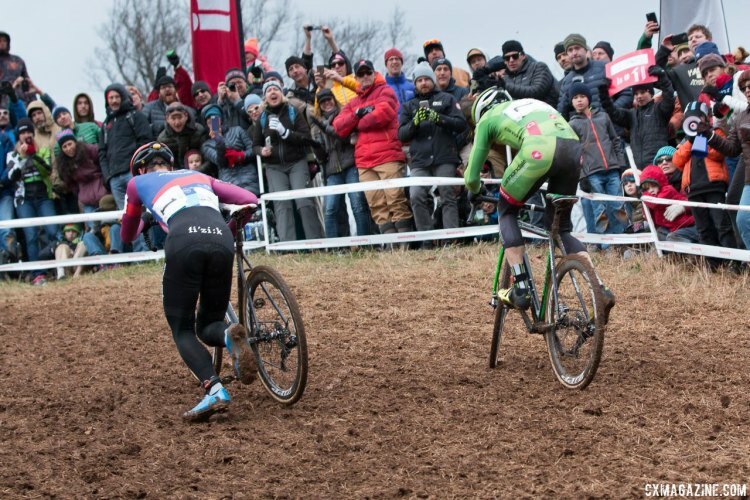 “Almost losing the US Cup-CX was terrifying for me,” he said to us. After Charm City, Hyde did not race again until the Cincinnati weekend. The break did wonders for his health and form. He entered the weekend on a mission and delivered with wins both days. After Ortenblad had the roughest two days of his season, in just two days Hyde had gone from the terrifying prospect of not winning the series to having it wrapped up. Still, even though he had won three straight races, there was reason to wonder if he could beat Ortenblad when both riders were on top of their games. If there were questions, they were answered in Louisville during the first weekend of November. 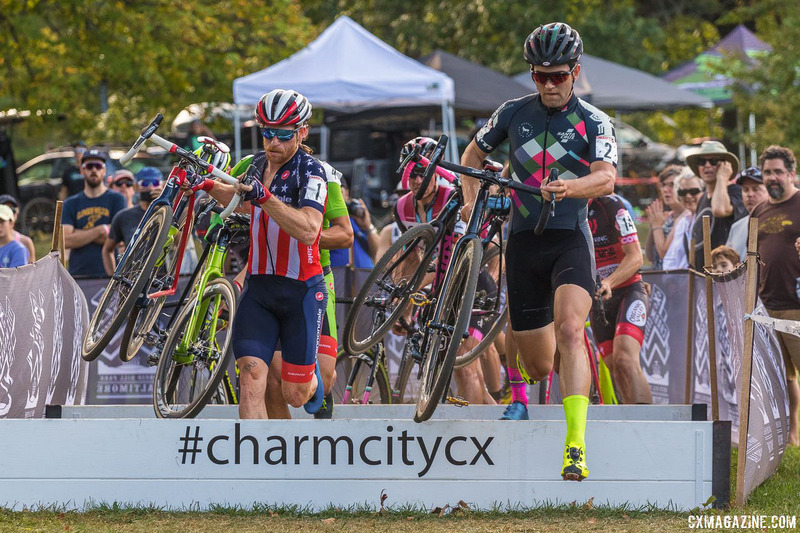 On Saturday, Hyde wrapped up the US Cup-CX series title with a win after receiving a second-straight challenge from Gage Hecht. Then on Sunday came a statement. In just four years, the Pan-American Championships have achieved a level of prestige in the U.S. that is one step below the National Championships. Every rider there is on top form and a win is an accomplishment to be proud of. On Sunday in Louisville, Hyde was utterly dominant. The best riders in the Americas were there and he blew them away. His lead pushed 2 minutes at one point, and he ended up winning by 1:20. As he hit the finishing straight, he let out a loud “Yes!,” expelling some of the frustration that had defined his season to that point. After a tough first two months of the season, he finally was able to Ryde Like Hyde. 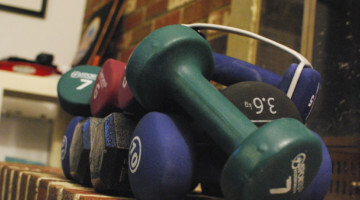 And whether intended or not, a message had been sent: You will need to bring your A game if you want to win in January. 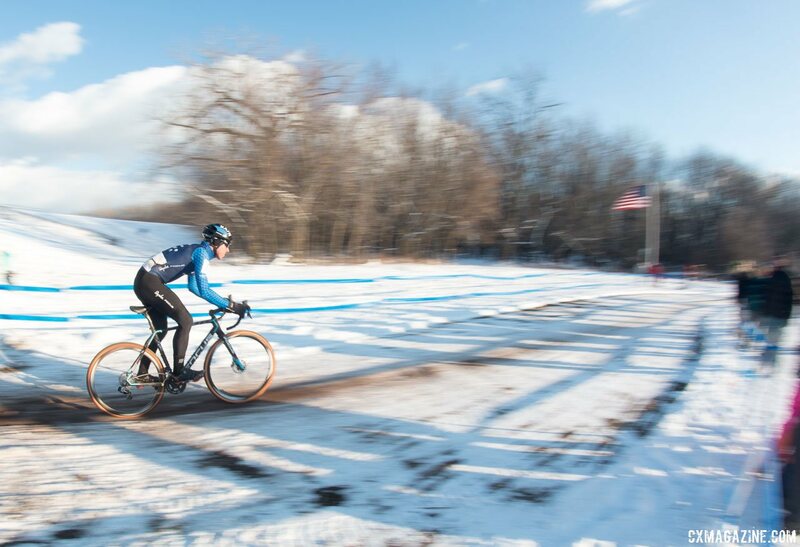 After his dominant win in Louisville, Hyde lined up for one last domestic race at the frigid Northampton Invitational and lost to Curtis White in a sprint finish. 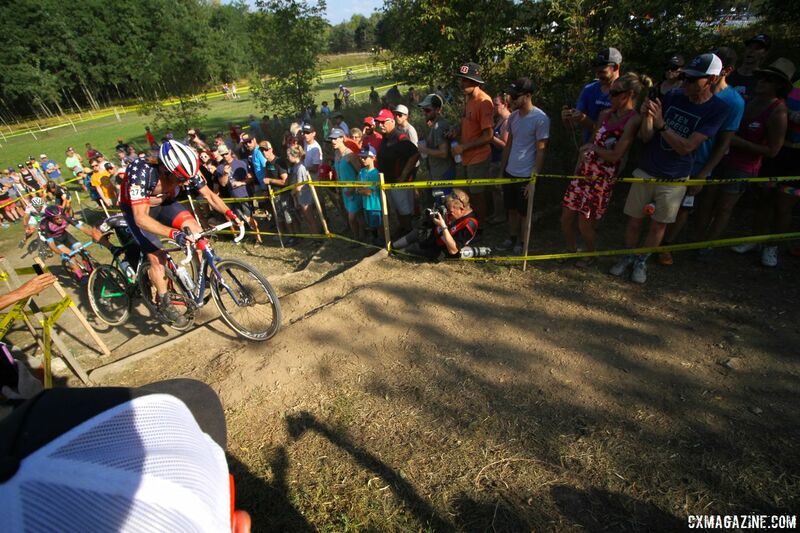 After dropping two to Ortenblad at the KMC Cross Fest, it continued a trend of struggles in tight finishes for Hyde. 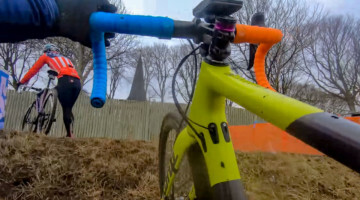 He then left for Europe where an early mechanical turned the World Cup race in Bogense, Denmark into a disaster and multiple crashes turned the Zeven World Cup into a nightmare. 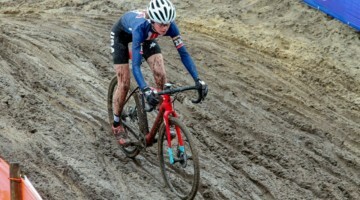 He finished the race at Flandriencross, but his result was a mess. After soaring to such great heights in Louisville, Hyde was back at square one yet again. Then came the call that —maybe being a bit hyperbolic — changed Hyde’s season. Okay, it was not a call so much as a text message, but when Wout van Aert invited Hyde to train with him in Spain, it was the perfect mental break for two beleagured champions. “It was great for me to have a good mental reset and to hear that even the champ needs it too. It’s been a tough season for both of us,” Hyde said about his trip to Spain. Hyde returned from the Spain trip rejuvenated. 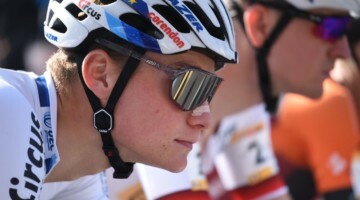 He finished 11th at the Namur World Cup and followed it up with a 13th at Zolder. The roller coaster season continued with another high. While Hyde was returning to form, his biggest rivals for Reno were racking up domestic wins. 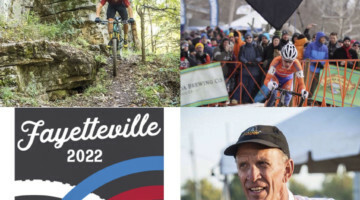 Ortenblad rolled at Ruts ‘n Guts and the Resolution Cross Cup, Kerry Werner took snowy wins at the North Carolina Grand Prix and Jeremy Powers won at the NBX GP of Cross. 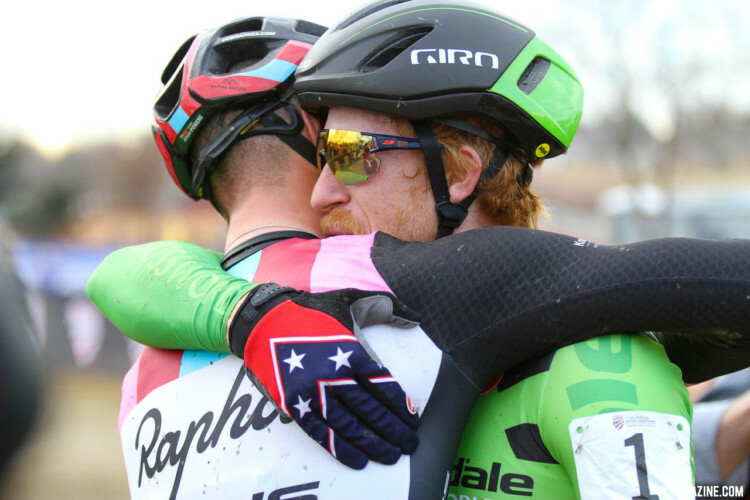 Hyde was proving himself worthy in Europe, but when Reno rolled around, the best of U.S. cyclocross had not met in over two months. If Hyde’s season has been a roller coaster, Jeremy Powers’ last two years have been a rapidly oscillating sine wave. Memories are sometimes short, but Powers was utterly dominant during the 2014 and 2015 domestic seasons. He lost exactly three races, two of them to Stephen Hyde. 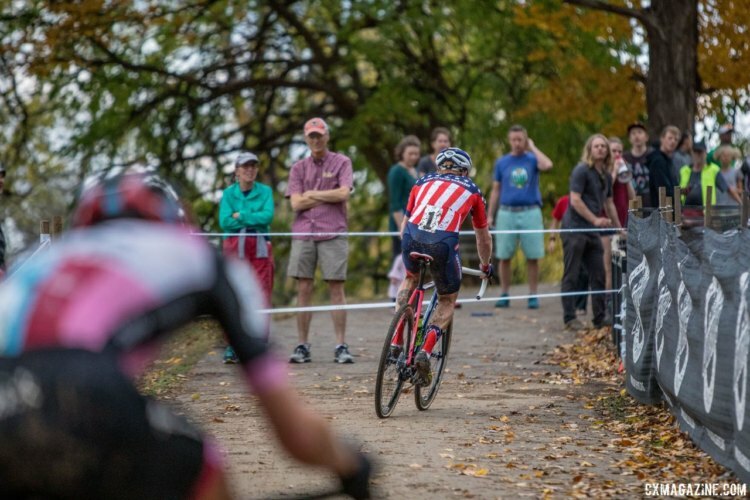 At the 2016 National Championships in Asheville, he went deep into the race with Hyde before winning his fourth Stars-and-Stripes jersey. From a domestic standpoint, Powers had established himself as one of the all-time great male U.S. cyclocrossers and in 2016, he was looking for more. The 2016 season started out well enough, with Powers winning both days at Rochester. 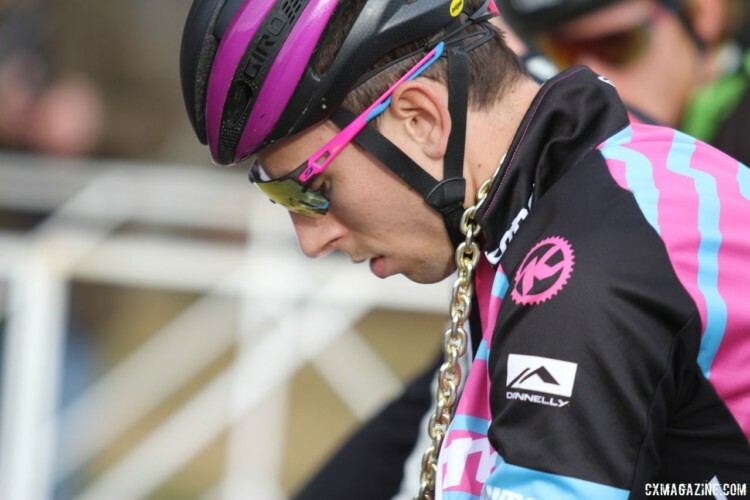 Then, on Sunday at the Trek CXC Cup in Wisconsin, Powers hurt his ribs during a pre-ride crash. He crashed again during the race, and the following weekend at Jingle Cross, he showed everything was not okay when he finished 43rd. What followed was a tough season of recovery. For the rest of the season, every moment of success in Powers’ 2016 campaign was accompanied by one that was equally disappointing. The former dominant force was left to celebrate mere podium finishes and not have aspirations for World Cup top tens. Hartford Nationals was a forgettable day for Powers as well. An early crash hurt his knee and sent him to the back of the field. To his credit, he finished the race, but he ended up placing 24th. The offseason provided Powers with the chance to get healthy and turn the page on his nightmarish 2016 season. 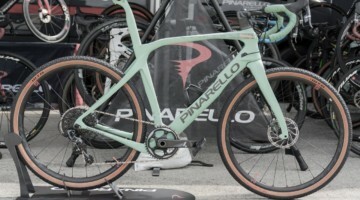 He and his wife Emily had a child, Finn, and his Aspire Racing team added a new rider in Spencer Petrov. The new year brought a new opportunity to return to form. 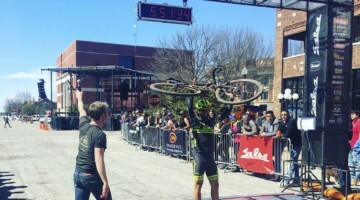 The season started out well enough with a podium finish after a sprint on the first day of Rochester. What followed was another roller coaster of a season. 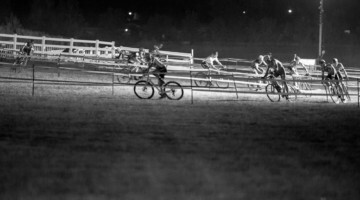 For every third at CrossVegas, there was a DNF at World Cup Waterloo. For every second on the first day at Charm City, there was a DNF the very next day. After taking yet another DNF at the Derby City Cup, Powers took up the chase of Stephen Hyde at the Pan-American Championships. He was sitting in third when he left the race with heart issues. He later revealed that it was something that had been bothering him for some time. The former champion could not catch a break. Heading into Reno, Powers was an X-factor for the race. The fast conditions at Rancho San Rafael Park were perfect for him, but no one except Powers and his team knew what to expect. 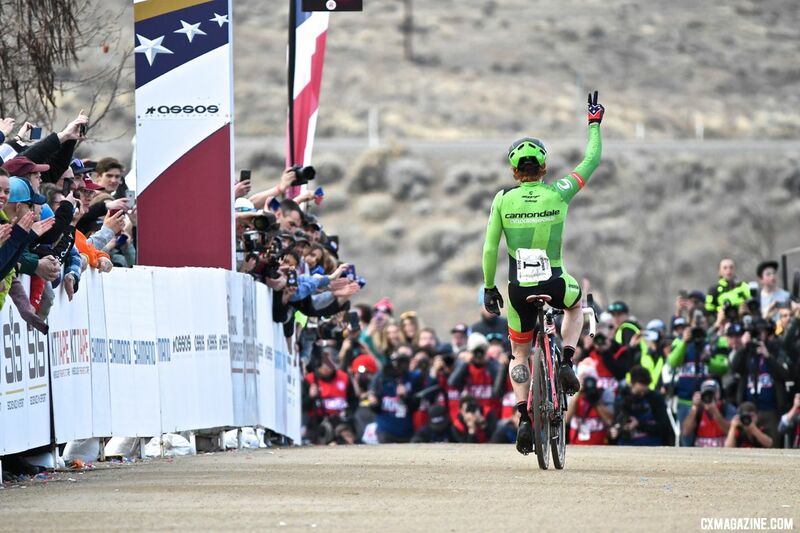 As he did at the end of 2016, he headed to New Mexico for a nice block of training, but still, no one knew when kind of form the four-time national champion would bring to Reno. 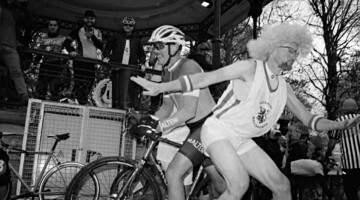 Stephen Hyde and Jeremy Powers are not only competitors, they are friends. 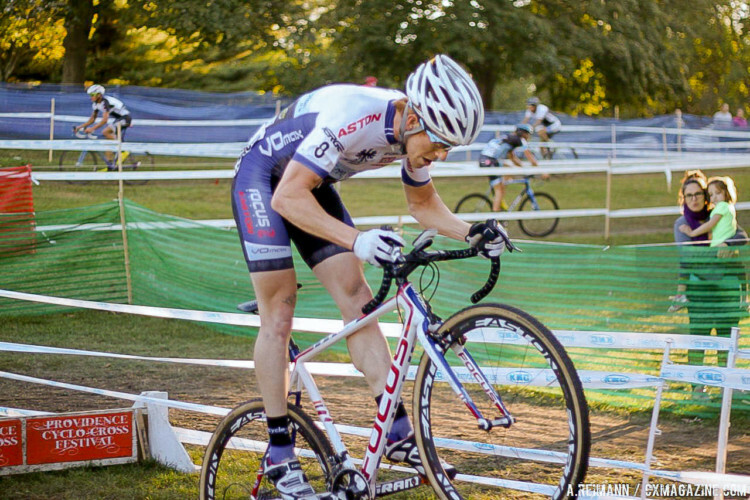 Hyde started his cyclocross career as part of Powers’ JAM Fund program and quickly progressed as a professional racer with Powers’ support. The 2015 domestic season could not have been a better story for the two. The mentor Powers was on top of his game, while the protege was trying to knock him off. 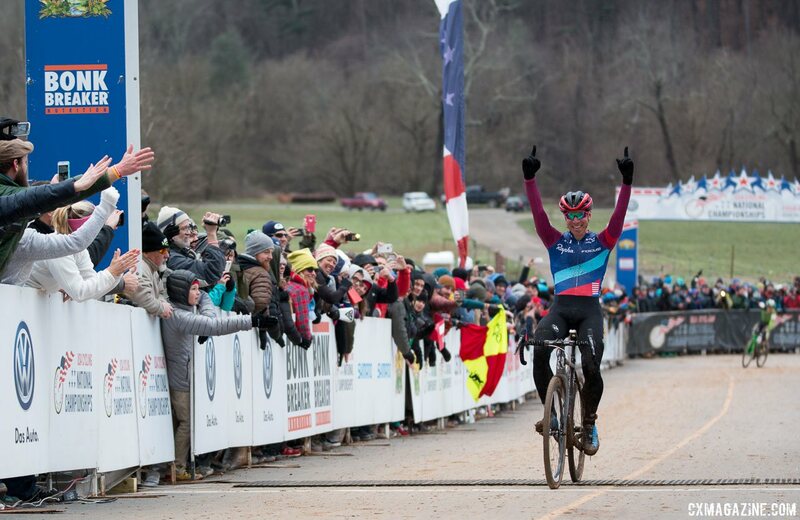 Hyde won two days in Louisville, but it was ultimately Powers who prevailed at Nationals in Asheville. The 2016 season was expected to be an epic back-and-forth between Powers and Hyde, but since Powers’ injury in Wisconsin, Hyde has become the face of American cyclocross while Powers has struggled to regain his championship form. If we are being honest, it was fair to expect the toughest challenge to Hyde in Reno to come from Tobin Ortenblad or maybe Kerry Werner. Nothing from this year’s results suggested Powers would rise to the top and challenge Hyde’s supremacy. However, just like Hyde was rejuvenated by his trip to Spain with Wout van Aert, Powers was seemingly born again after spending time training at altitude in New Mexico. 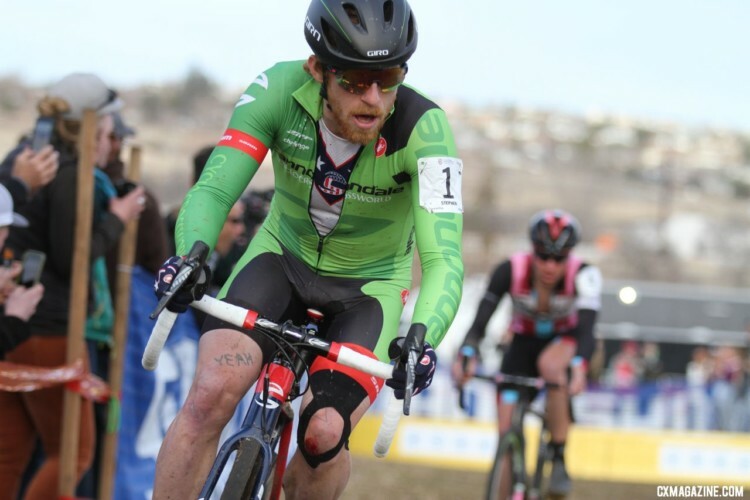 He headed to Reno looking to prove what he knew to be true: he could compete at the front of a U.S. Cyclocross Nationals yet again. After watching the course preview video, commentators suggested the course at Rancho San Rafael would feature pack racing because it was a “grass crit.” However, with the exception of races such as Adam Myerson’s sprint victory, the fields of most races were ripped apart early on. On Sunday, there were two-up duels in the Junior and U23 Men’s races, but the Elite Men’s race was the first one with real pack racing. Early on, six riders got off the front, validating the feeling that the racing in the Men’s field was something special this year. If Hyde had shown one weakness on the course in 2017, it was ability to win pack races. Hyde dropped one of the days in Rochester and then got aced by Ortenblad both days at the KMC Cross Fest. He also lost a sprint finish to Curtis White on the first day of the Northampton GP. 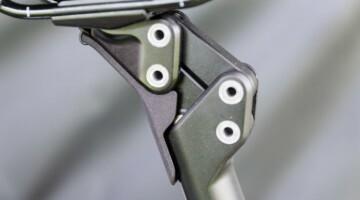 On Sunday, Hyde was in the lead group, but as the laps ticked by and the group stayed together, those races lost became more relevant to his title defense. Early on in Sunday’s race, it was not the favorite Hyde but rather Powers who did the work driving the group. One lap he was on the front. Two laps he was on the front. Powers had the power to wear down the other riders and force them to the breaking point. 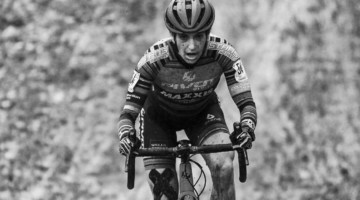 Just as he had done on the fast, dry course in Boulder in 2014, Powers was laying down a blistering pace at the front of the race. After Powers did the work wearing the group down, Hyde built off his mentor’s effort and unleashed a wicked attack with three to go. Ortenblad was gassed. Werner was popped. Only Powers could respond. Inside three to go, it was a replay of Asheville, but this time with Hyde as the favorite and Powers as the underdog. The script was could not have been written any better. 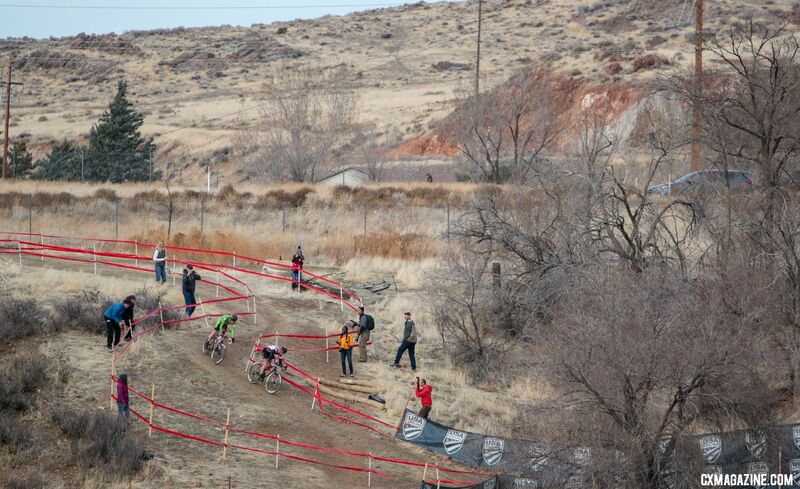 The last two laps of Sunday’s race were everything beautiful about the sport of cyclocross. 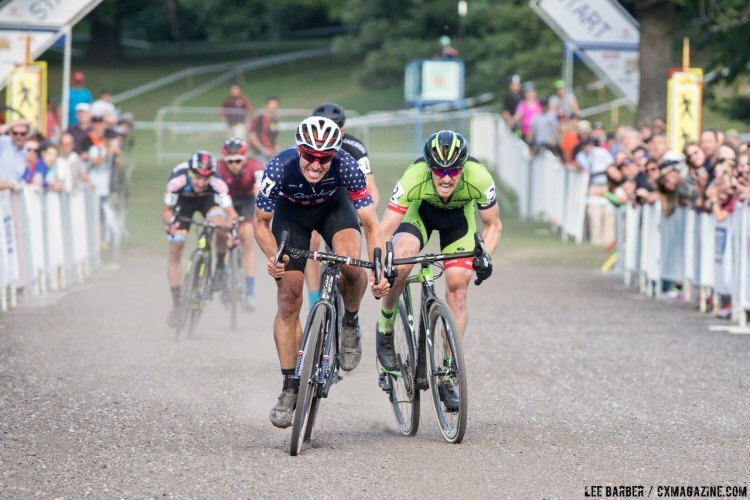 One rider looking to become the next Jeremy Powers of U.S. cyclocross, the other looking for another win to cement his legacy as one of the greatest male U.S. ’crossers of all time. In the last lap, Powers and Hyde battled for every corner like it meant everything. Both men knew the first to the run-up was likely to win, and they fought accordingly. 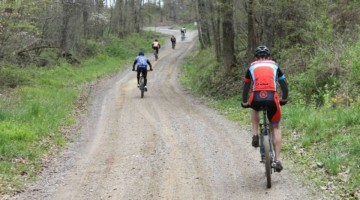 Shortly before reaching the run-up, Hyde finally passed Powers and earned a few bike lengths of breathing room. He got away from his rival and former mentor to take home the honor of wearing the Stars-and-Stripes for another year. As we said in November, Hyde had dropped another hit. Stephen Hyde will not be remembered as a one-hit wonder. Even if it was not entirely expected, the battle between Powers and Hyde on Sunday was one for the ages. Although only separated in age by a few years, both men were fighting for something different. 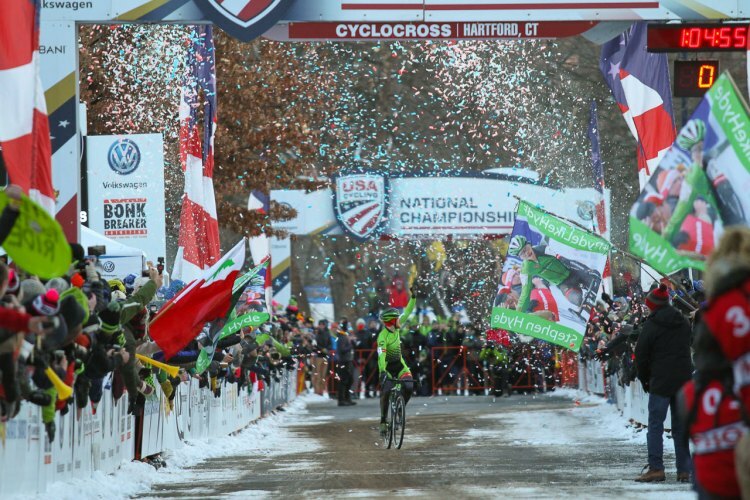 Powers to prove that he still belongs and Hyde to show he is continuing his progression toward becoming the next great U.S. male cyclocross rider. 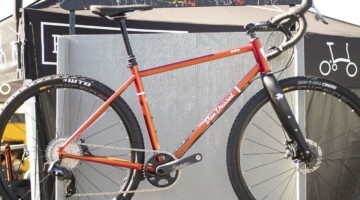 There are times this year where Hyde seemed at risk of being a cyclocross one-hit wonder. He came into the season on bad form and faced a mid-season lull after a captivating performance in Louisville. 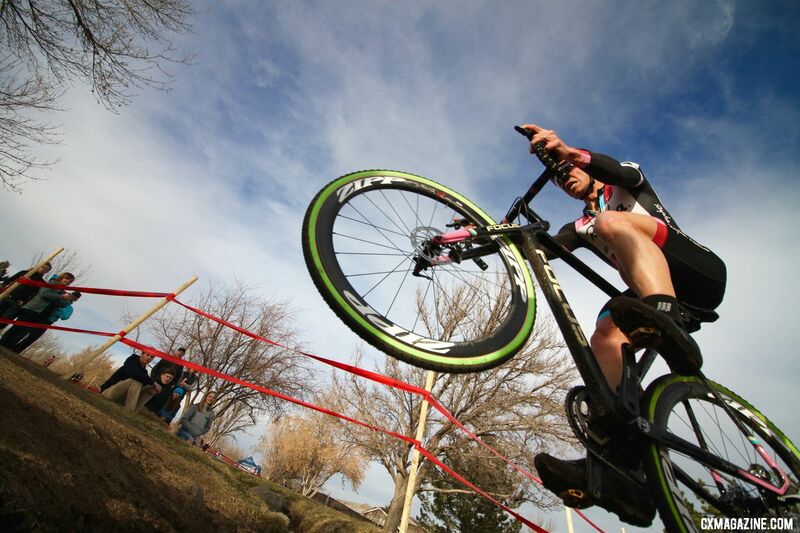 Winning in Reno validated his favorite status and the next step in his cyclocross career. Stephen Hyde will get the honor of wearing the Stars-and-Stripes kit again in 2018 and fans were treated to a race for the record books. Hyde continues forward to Worlds and then the next step in his progression as a cyclocross professional, while Powers proved he still has a lot to offer as a professional bike racer. It was a perfect end to a season of domestic racing that was, in Hyde’s words, off the chain. Stay tuned for our look back at the Women’s Elite race and Katie Compton’s 14th-straight national championship. Miss Sunday’s epic race? Watch the replay and hear from the top finishers.